It was a romance long embedded in his soul that influenced the work of Christian Dior and his passion for the blooms that graced the runways for the last 70 years. In a seaside villa, belonging to his parents in Granville, he acquired his great horticultural knowledge and his passion for spending his spare time amongst nature. He loved to dream up layouts for his mothers garden and getting his hands dirty. Including overseeing the erection of a pergola and a rose garden on the cliff top. Known for its blustery winds and treacherous weather, this Normandy-style Garden Of Eden obeyed only Madeleine Dior and her attentive son Christian. At every stage of his life Christian Dior never ceased to reconstruct his unbridled passion for flowers and the magic of his original garden. 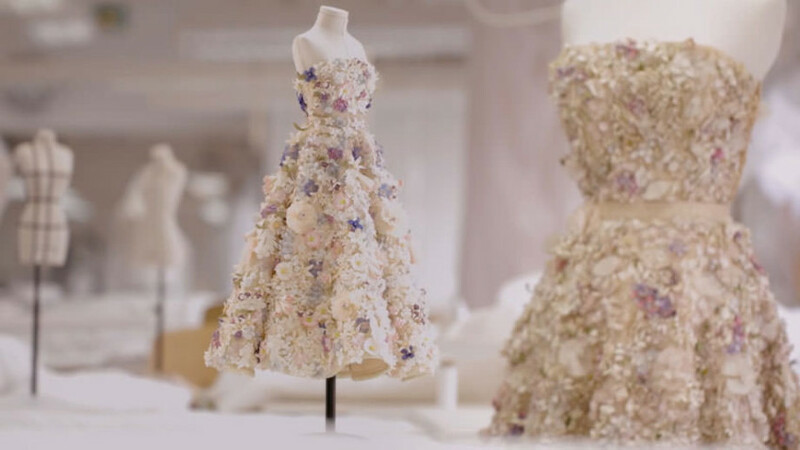 So when I see magic short films on the intricacy of the little flower dress that came out in 2014, I can't help but be captivated at the love and legacy that Christian Dior embedded in his brand. For 70 years Dior has been one of the biggest fashion houses in the world, however it was nearly not the case. On the 18th of April 1946, Christian was due to face a dillema the next day as he had a meeting with Marcel Boussac, the most famous of the post war industrials, and he was still unsure of his decision. That was until he stubbed his toe and tripped over a star. Turning to see what it was that he had tripped on he saw the star. Realising that he was right in front of the British embassy at the time, that made him think of his childhood in Granville, Normandy and reflect on his friends, his garden and where his passion lay. Christian was a superstitious fellow, keeping by his side a fortune teller for many years, and knew that this was the sign he was looking for. The next day he went to his meeting and turned down the offer to join Boussac and instead announced his intention to open his own fashion house, not yet knowing the effect it would have on the fashion industry and the standing of the French in the worlds eye. In the Spring of the following year Christian Dior would present his first collection to the world on 12 February 1947, exploding on to the scene with a new look and imposed new style. From spring of '47, women were never the same again. In these early days Christian was also keenly awaiting the arrival of his lucky flower, lilly of the valley. Superstitious, passionate about flowers and attentive to every detail, he slipped a sprig of the delicate dried flower into the hem of every one of his couture models and always kept it with him. In his jacket pocket he kept a finely crafted reliquary containing his beloved flower. He also kept a four-leaf clover, two hearts, a piece of wood and a gold coin to hand. Still today Monsieur Dior's fetishes haunt the history of the label and influence the directions of collections, makeup and even their building with the star atop the Dior building in Ginza. If you have not had the chance to see this fabulous exhibition, it is closing very soon. 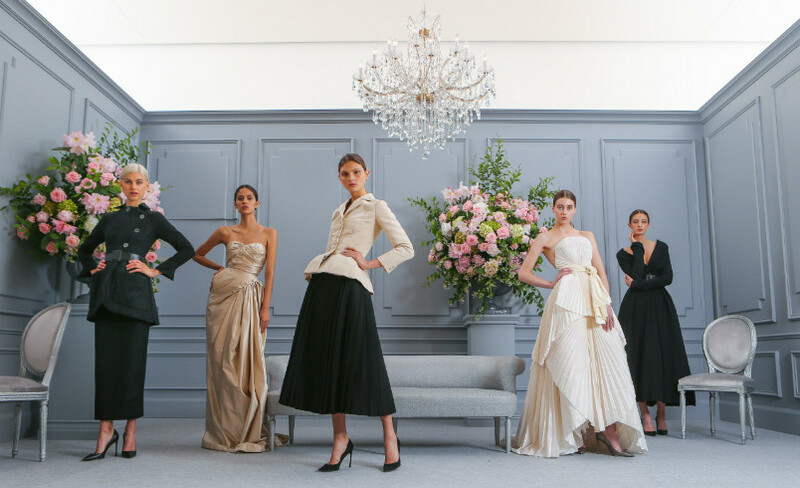 Enjoy 70 years of fashion with Dior and the NGV Melbourne until Tuesday November 7th. It's a must see! And just in case you missed it you can watch the fabulous construction of the flower dress in the video below.